The role of social media in communicating emerging environmental issues has received little attention. 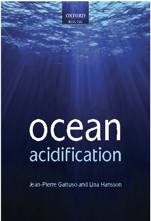 One such issue is ocean acidification (OA), the process by which carbon dioxide (CO2) acidifies oceans. 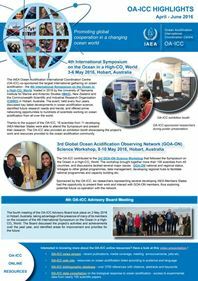 Although scientists consider OA to be as dangerous as climate change (CC) and both problems are caused by excess CO2 emissions, public awareness of OA is low. We investigated public discussions about CC and OA on Twitter, identifying frames and tweeter characteristics. Tweeting patterns before and after President Trump’s 1 June 2017 announcement of the U.S.’s withdrawal from the international Paris Climate Agreement were compared because of the potential for diverse framing of this globally communicated event. For CC tweets, Political/Ideological Struggle (PIS) and Disaster (DS) frames were prevalent, with PIS frames increasing threefold after Trump’s announcement. DS, Settled Science (SS), and Promotional frames were prevalent among OA tweets, with SS decreasing and PIS increasing after the announcement. Our findings suggest that Trump’s decision sparked discourse on CC and facilitated expressions of politicized opinions on Twitter. We conclude that with a careful understanding of issue familiarity among its publics, social media can be effective for disseminating information and opinion of established and emerging environmental issues, complementing traditional media outlets. Kim S. C. & Cooke S. L., 2018. Environmental framing on Twitter: impact of Trump’s Paris Agreement withdrawal on climate change and ocean acidification dialogue. Cogent Environmental Science 4: 1532375. doi: 10.1080/23311843.2018.1532375. Article.